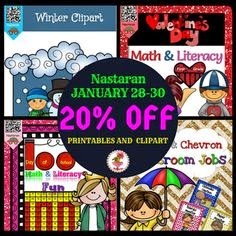 I will be having a 20% OFF SALE on ALL store items from Jan. 28-30. Here are some products that have been recently uploaded! Please take a moment to visit my Facebook Page to receive my daily giveaways, freebies and my latest updates.